The Holiday weekend in the United States has seen a lot of games played and there have been some notable scores and incidents for NBA fans to follow. While the Golden State Warriors are still the top ranked team in the country, they are not as formidable as they were in the earlier part of the campaign. Yes, virtually every other team would take their 37-4 record in a heartbeat but the tally of the losses is creeping upwards now on a weekly basis. This can’t really be much of a surprise, the impetus and motivation has to wane slightly after a few defeats and the Warriors will now be focusing on staying in good shape and then getting ready to come to life in the Playoffs. The Spurs have a 36-6 record while the Thunder have a 30-12 record. The Cavaliers are 28-10 while the Raptors are 25-15 at this stage of the season. At the opposite end of the spectrum, the 76ers are 5-37, the Lakers are 9-34 while the Timberwolves and the Pelicans have both only notched 13 wins this season, with their records standing at13-29 and 13-26 respectively. The NBA schedule provides plenty of games in the week ahead and there will be chances for UK and European NBA fans to get involved with the action this week. The standout game on Tuesday is clearly the Cleveland Cavaliers hosting the Golden State Warriors. This is a re-run of the 2015 NBA Finals and many people expect these two teams to be involved with the 2016 NBA Finals to. It’ll be a late night for any NBA fan watching in the UK or Europe but it is going to be a game that catches the imagination. The Cavs have home advantage and it seems as though the betting sites think this could be enough to tip the game in their favour. 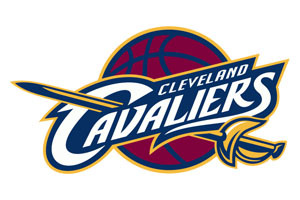 Take The Cleveland Cavaliers at -3 with odds of 1.90 for this game. If you are looking to get involved with the Over/Under market, go OVER 206.5 at odds of 1.90. On any other night, the Celtics trip to Dallas would be a major game but it comes off as second best in the NBA schedule for this day. The previous day’s schedule focused on two teams with genuine aspirations for the NBA title but this day in the NBA schedule sees a big game between two sides languishing with a very poor record. The Timberwolves travel to New Orleans and both of these teams will recognise this game as a great chance to get a win that could propel them to a run of form. It is hard to find form worth backing from either team but home advantage may swing it in the direction of the Pelicans. The Celtics visit to Toronto could be a great game while the Hawks and the Trail Blazers could be a sleeper game that throws up plenty of excitement. There will of course be interest in the Thunder, a team who have been moving along minding their own business but if they can take care of the Hornets at home, they’ll consolidate their status as a candidate for going far in the Playoffs. The Cavs welcome the Clippers, the Nuggets welcome the Grizzlies but the most intriguing game of Friday morning for UK NBA fans comes with the Spurs trip to Phoenix. The Spurs have caught the eye this season so far and if they can grab a win in Phoenix against the Suns, a few more people may take them seriously in their quest to reclaim the NBA title. European and UK NBA fans staying up late on Friday night/Saturday morning will be rewarded with the Celtics playing at home to the Bulls and the Thunder travelling to Dallas. There is even a game on Saturday night, with the Jazz travelling to Washington to take on the Wizards. There are also big games for the Spurs and the Warriors which means that this is a date for your diary NBA fans. The Bulls have a tough run of games this weekend and they travel to Cleveland to take on the Cavs. Other games to look out for include the Pacers in Sacramento and the Hawks in Phoenix. If you want to watch the NBA in UK and Europe at a reasonable time, the NBA schedule has delivered the Thunder in Brooklyn and the Mavericks in Houston, both of which should provide plenty of action and excitement.